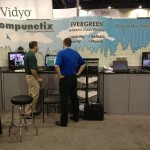 Day 3 of InfoComm 2012: Last Day for Demos! 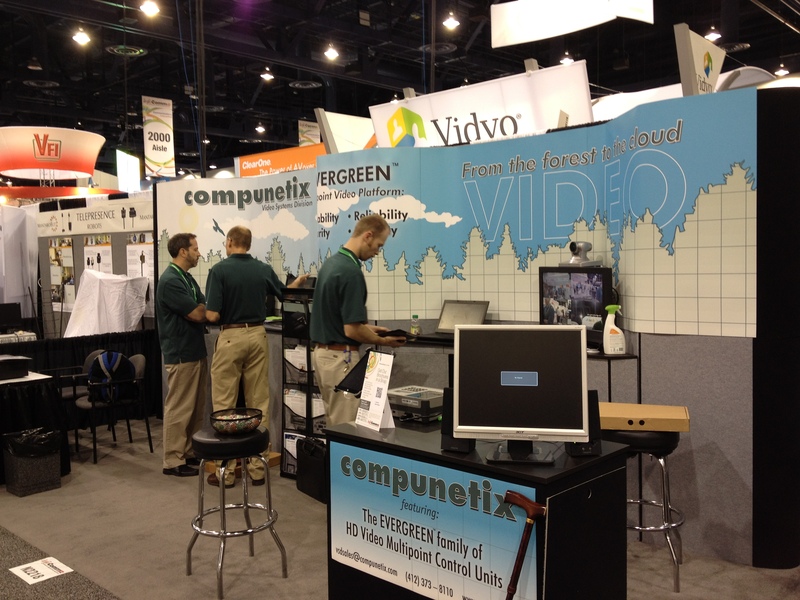 If you haven’t already stopped by our booth N2218, today is the last day to do so! 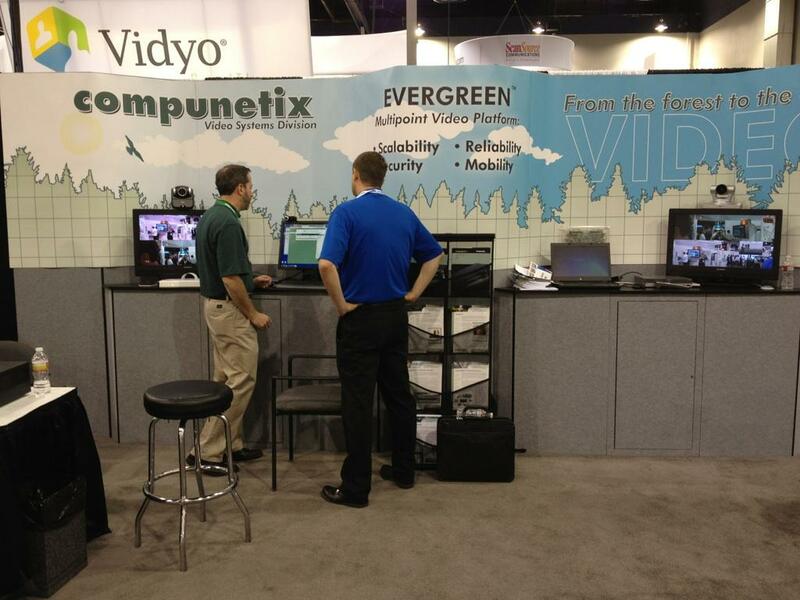 Our team has been showing demos of our EVERGREEN™ MCU, Video on the Fly mobile solution, and other video applications. 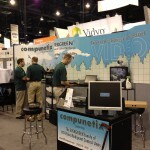 If you are looking for video conferencing solutions, Compunetix is the booth to stop by! Anyone on our team would be happy to give you more information or answer any questions you may have. We’ll also be giving away fun prizes at the booth today for anyone who asks for Michael! Just mention you saw our blog post or tweets about the giveaway. Be sure to follow us @CompunetixAudio for updates about the show! Alan Himes, Application Development Supervisor, giving demo. 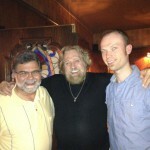 Three of our guys: Alan Himes, Jim Klueber, and Michael Palguta at our booth. 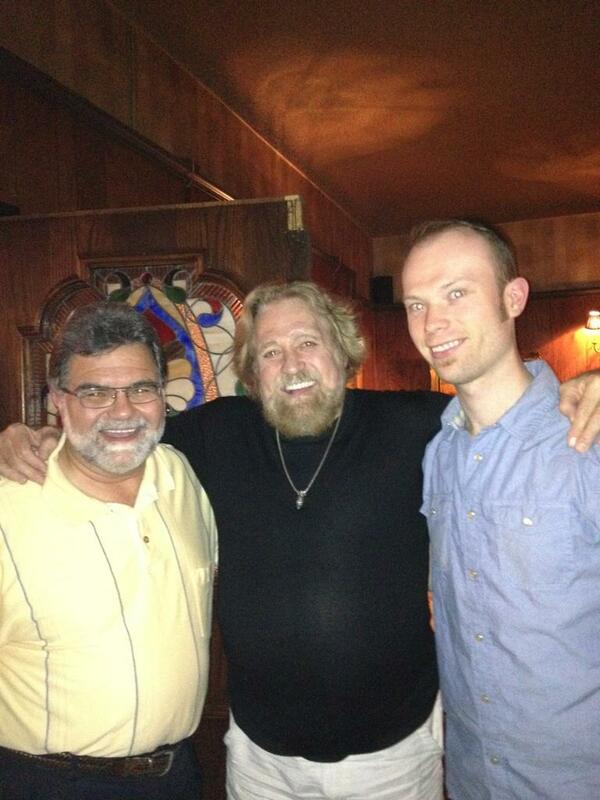 John Stare, VSD Sales Manager and Michael Palguta, Webmaster/ Graphics Coordinator with Grizzly Adams!